Do you need a Blank Invoice Excel? 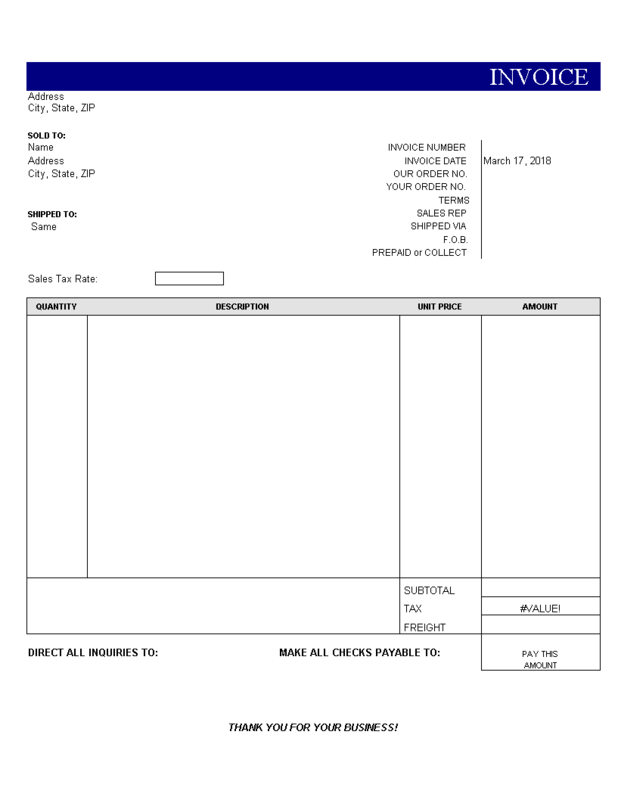 Download this professional Blank Invoice Excel template now! This ready-made and easy-customizable blank Blank Invoice Excel template is well suited for any kind of personalized business matter. Communicating in a professional way will get you and your company respect and will make you more successful. We support you by providing this Blank Invoice Excel template. By using this Blank Invoice Excel, you will see that it gives you extra motivation and inspiration, which is helpful in order to finish your work faster. Besides, you will have saved time that you can use to focus on other matters that are important. Download this Blank Invoice Excel template now and save yourself precious time, cost and efforts and help you to become more successful!